Joining me and sharing their book corner secrets today is the gorgeous Samantha Tonge - author of Game of Scones and How To Get Hitched in Ten Days. 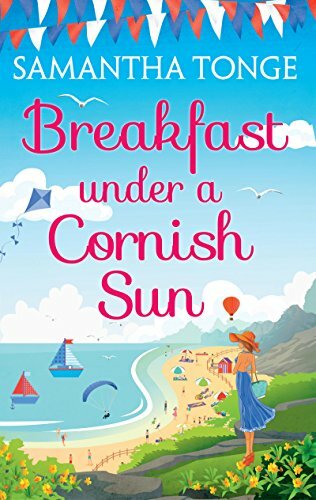 Her new book, Breakfast Under A Cornish Sun is out now. 1) Tell us about your Book Corner/Writing Space? I work in a small office (okay, hands up, really it’s the spare room) at a tiny, tiny desk which was designed by my husband to fold away into a wardrobe. So, effectively, I work in a wardrobe. I know, the glamorous world of an author, eh? But I am used to it. There is a large room in the house I could move to, called The Red Room (no seriously, but I named it before Fifty Shades of Grey came out because of the colour of its decor!) but I am a creature of habit. The spare room is cosy, has a view onto the back garden and doesn’t isolate me from the kids when they get home from school. It is also further away from the fridge which is always a good thing! 2) Do you have a favourite shelf/collection of books? Or favourite part of your Book Corner? I have a little book nook in the lounge where my books are although these days most of my reading is done on my Kindle. It is my preferred format as I can hold it in one hand and a cake in the other J I do like a collection of red shiny books I built up, when I went through a phase of reading teen horror, on the back of being a Twilight fan. And I also like a section of the bookshelf full of books out of the loft, from my past, that I read as a teen or young woman – for example animal stories like Duncton Wood and a Marilyn Monroe biography. 3) Do you have any reading/writing habits? Not really. I used to have to write in complete silence and would even wear ear-plugs, but now I can write with all manner of noise going on – apart from a television, I do find that distracting. I usually read in front of the TV at night as that is my only spare time. 4) How do you keep apart, track and control your TBR to read books? I just download books as I fancy them and then usually read in the order of buying. Sometimes I read two books on the go if they are different genres. For example at the moment I am reading The Curious Incident of the Dog in the Night-time alongside some chicklit. I really need to read more though. I write full-time so by the time evening comes along I am usually too eye-tired to look at more words. 5) Can you provide links to your social media handles please? 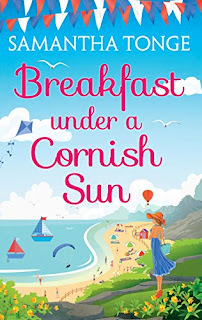 Samantha's new book, Breakfast Under A Cornish Sun is available now, click here! Lovely interview💖 Great way to get to know an author.